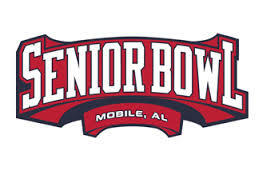 Congratulations to our MELT client, The Senior Bowl, who continues to shock and awe the NFL Draft world! The Senior Bowl, the Mobile, AL-based college football All-Star game, led by new director (former Cleveland Browns GM) Phil Savage, is being widely credited with the meteoric rise of the recent NFL Draft #1 pick, Eric Fisher, to the Kansas City Chiefs. Before Fisher’s rise, he was slated to be picked in the mid-to-late first round of the NFL Draft. Overall, the Senior Bowl produced 3 of the first five players selected and 94 picks overall. A staggering haul indeed. As the stature of this game grows, expect player demand and participation in this game to grow as well. Good category sponsorships remain open for the 2014 game to be played on January 25, 2014 and to be televised by the NFL Network. It’s a great time to jump in! Surprise first-round QB pick E.J. Manuel was also the Senior Bowl MVP. If you need any further proof that the Senior Bowl is going to surpass the NFL Combine in terms of showcase value, look no further than former Florida State QB, E.J. Manuel’s rocket rise ahead of Geno Smith & other QBs in the NFL Draft. Manuel, who impressed me all week of Senior Bowl with his work ethic and attitude, surely impressed a lot of NFL scouts that week as well. Expect E.J. to make an immediate impact with the Buffalo Bills! Why the NFL Draft remains a wide-open opportunity for collegiate sports marketers. A massive, somewhat un-mined opportunity for collegiate sports marketers is to continue their halo affiliation with players and schools once they are drafted, their name is called and they strut on stage. Make inventory buys on ESPN, NFL Network and social / digital linking the sponsors by congratulating schools and players. Campus draft parties as a sampling platform. Players in-home cameras to display salty snacks, pizzas, etc. at viewing parties. “Getting the call” from the team to the player informing them of their selection. NYC-based corporate hospitality with key partners and customers. If you think it can’t get worse (or better), just wait until the SEC TV Network launches in August of 2014 with ESPN providing a national distribution platform. Opportunities will abound. I remember sitting in class back in the early 80s with Pat Dye, Jr. (his father coached Auburn at the time) and recognizing his drive, focus and intelligence then. He’s clearly parlayed it very successfully with his 25-year success of his sports agency representation firm, SportsTrust Advisors. Being independent as he is, surviving a Julius Caesar-style debacle and emerging to represent literally billions of dollars of contracts and player representation is a tribute to his drive, focus & intelligence. Jerry Maguire ain’t got nothin’ on Pat Dye, Jr.! An SEC version or spin-off of ESPN College Game Day travelling to SEC college campuses and featuring top (and new) SEC rivalries each week. New & emerging talent to be featured in primetime and game day programming. Great southern stories of great games gone by, look for this channel to re-incarnate the old ESPN Classic Channel & to amplify ESPN’s SEC stories series.